2018 Ford F-150 vs. 2018 Ford F-250: What’s the Difference? 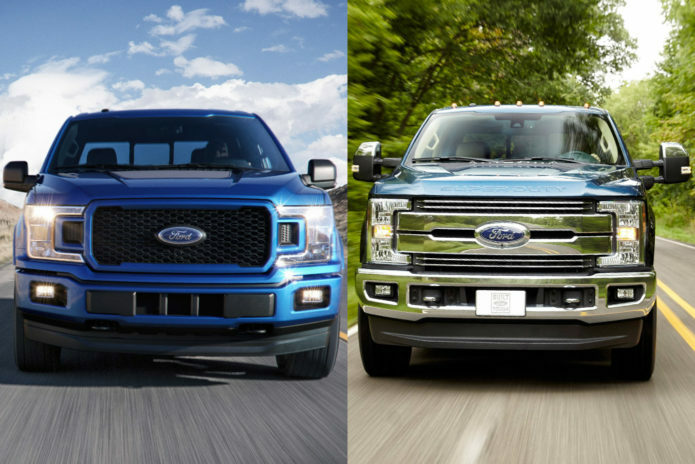 The Ford F-Series lineup comprises the best-selling vehicle product line in the United States. If you’re in the market for a new full-size pickup, you might be wondering what the major differences are between the F-150 and the burlier F-250 (not to mention the F-350 and F-450). Do the main differences go beyond simple towing ability? Are there any features available on the F-250 that aren’t available on the F-150? Is one really “tougher” than the other? Below, we’ll try to answer those questions and more via a comparison of the two vehicles.